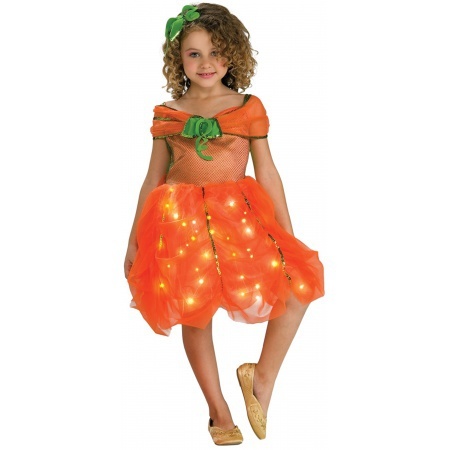 Pumpkin Princess costume includes a dress with fiber optic twinkle skirt and hairpiece. 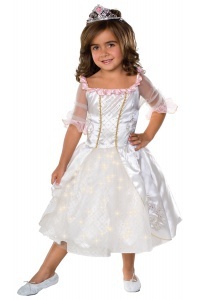 The Pumpkin Princess comes in child sizes Toddler, Small. 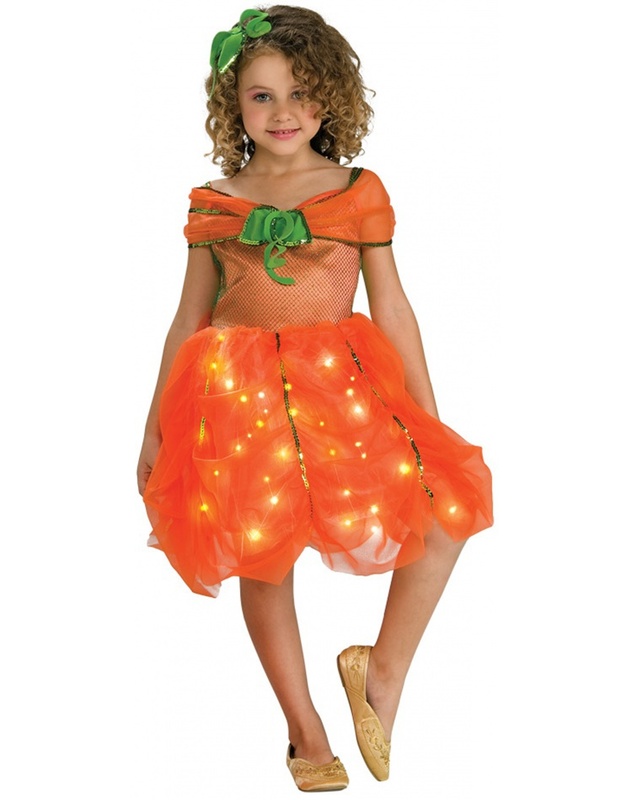 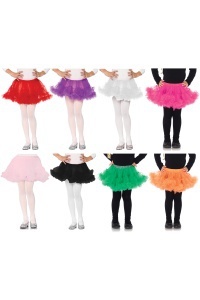 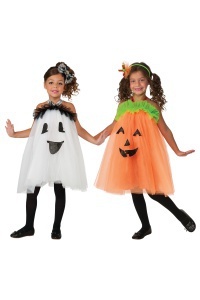 The light up skirt is so cute, and makes Halloween trick-or-treating safe and fun! 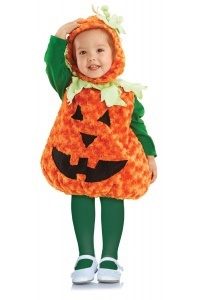 The shoes and pumpkin are not included in the set.